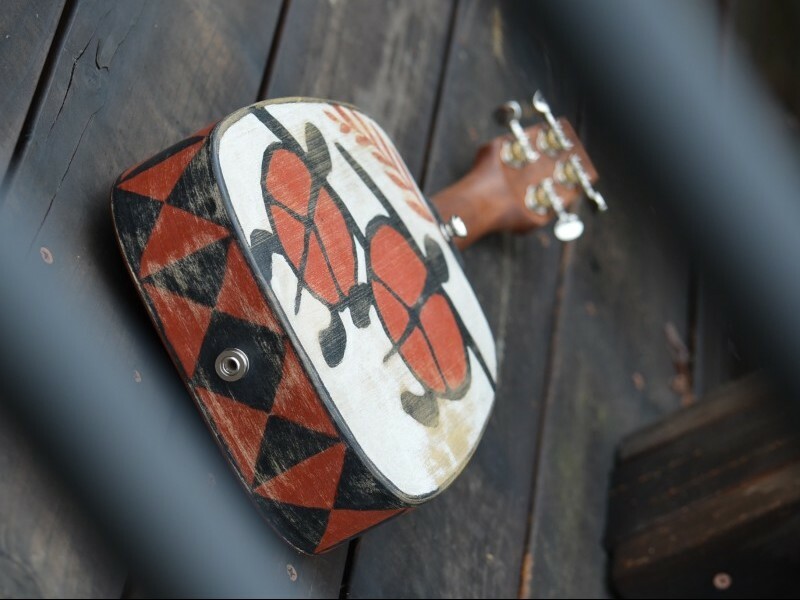 Ukulele “Peace” is a fairly unusual ukulele. 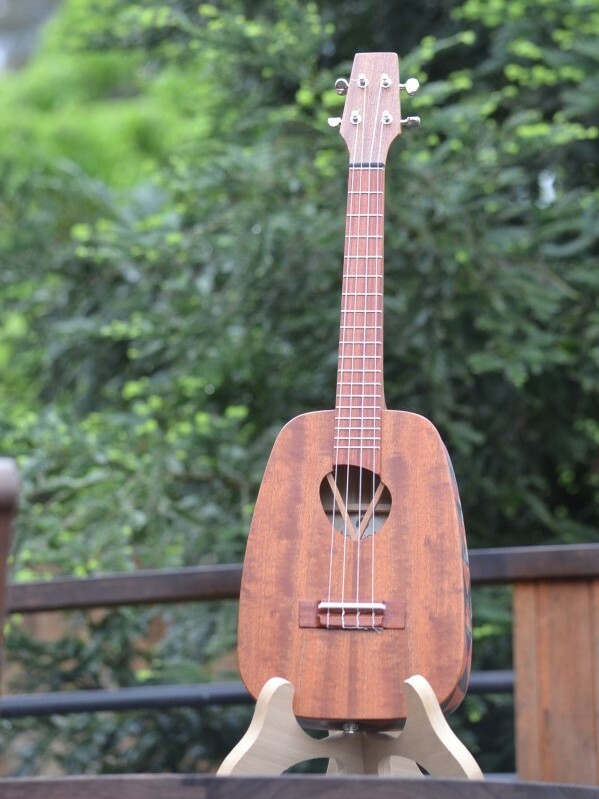 She is a tenor size Keystone with our unusual “chopsticks” bracing. This style of bracing frees up the center of the soundboard in an effort to increase volume and sustain. The ‘sticks’ attach to the bridge plate and then arch off the soundboard to then reattach to the upper bout. This allows the center of the soundoard to move much more freely. She is milk painted on the back and sides. 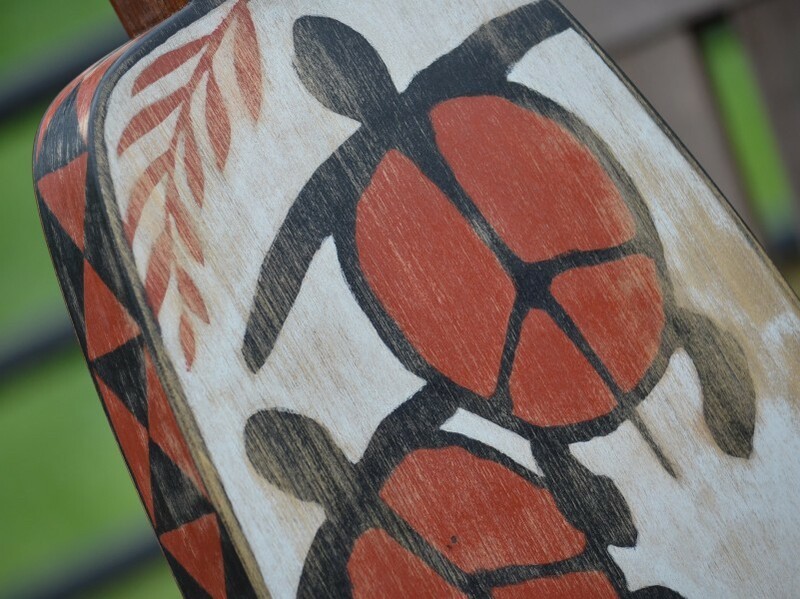 Her sides have a simple geometric pattern similar to old Hawaiian tapa paintings. 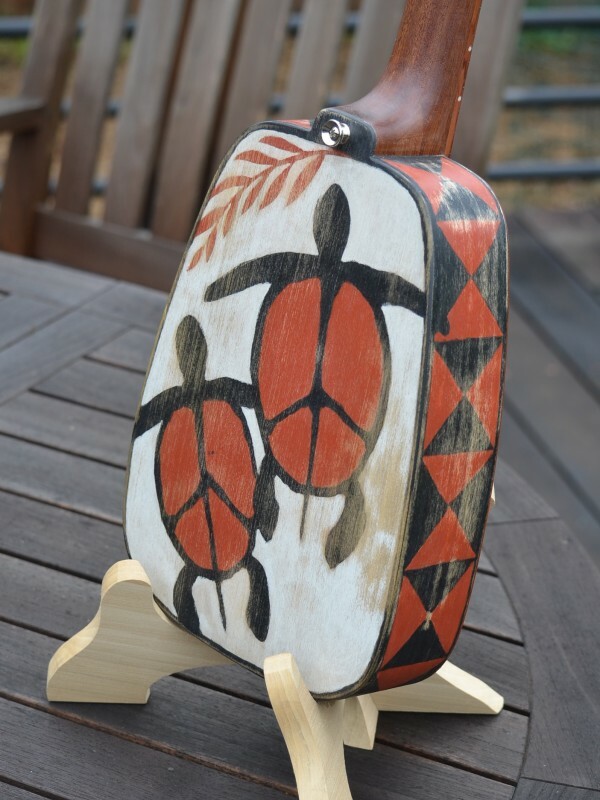 And her back has two petroglyph-style honu (sea turtles) modified slightly to give a message of peace. 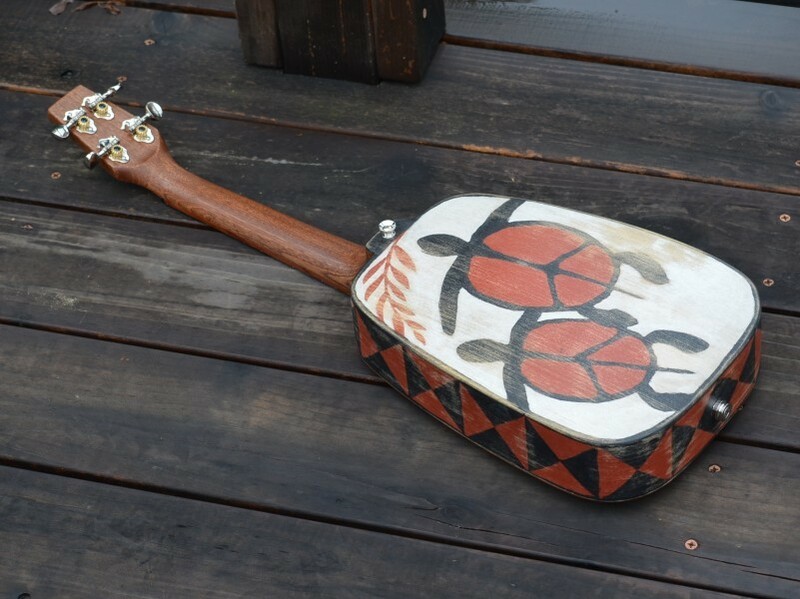 To finish off the unusual nature of this unique instrument, she is tuned reentrant baritone. This is sometimes called bari-tenor tuning as it uses the notes of a baritone but the fourth string is one octave higher than standard. Of course, with her zero fret, it is easy to change to other tunings. “Peace” is really a message for our times. 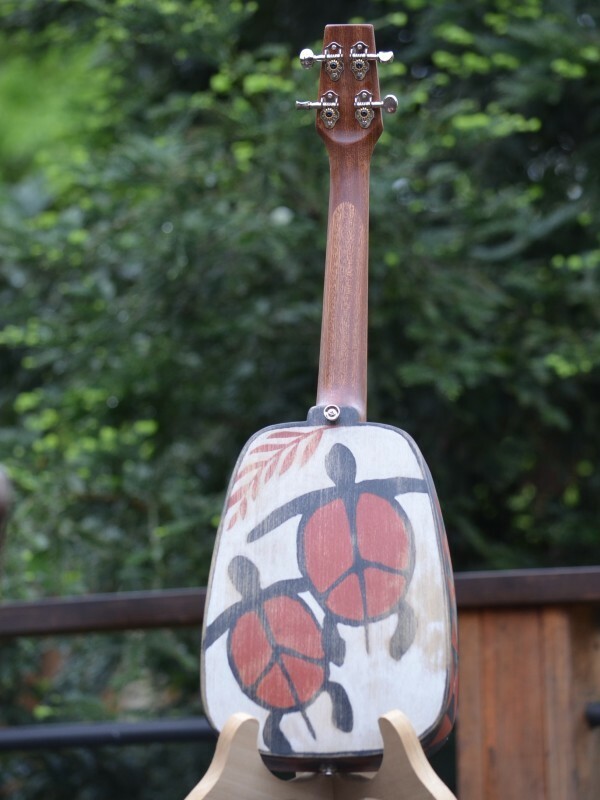 The finish on this ukes mimics Hawaiian tapa painting and petroglyph style but includes hidden peace sign in the stylized honu. Peace everyone.